President Trump took aim at Amazon yet again. The president on Thursday tweeted three misleading statements: 1) Amazon pays "little or no taxes to state & local governments," 2) Amazon's relationship with the US Post Office causes "tremendous loss" to the United States and 3) Amazon is "putting many thousands of retailers out of business." Stock in Amazon (AMZN), the fourth most valuable company in the world, fell 3% Thursday morning. Trump continued his attack on Amazon on Saturday, claiming in a tweet that the company was scamming the post office. It's no secret that Trump hates Amazon. He has repeatedly tweeted how much he dislikes the company. Amazon (AMZN) did not respond for a request for comment on the president's latest criticism. 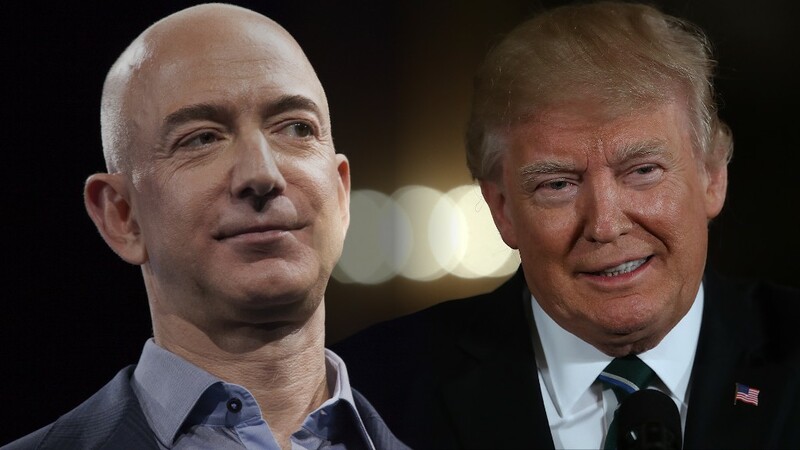 Much of Trump's distaste for Amazon is because CEO Jeff Bezos also owns the Washington Post, whose coverage the president frequently criticizes. Amazon does not hold a stake in the Washington Post. But Trump's criticism of Amazon is not based in fact. Years ago, when Amazon had few warehouses, it was able to get a competitive advantage by not charging sales tax. When retailers ship goods to states where they don't have a physical presence, they do not have to charge sales tax. The company has not disclosed how much its customers pay in sales taxes, but it is considerable. Its North American sales came to $106 billion last year, suggesting that it collects billions in sales taxes for various states. The president is correct that Amazon does not always collect city and local sales taxes, according to analysis earlier this week by the Institute on Taxation and Economic Policy. And it also does not collect sales taxes on purchases made on Amazon from third-party vendors. Third-party vendors had sales of $32 billion on Amazon in 2017, although some of those sales were outside of North America. Amazon pays the post office to deliver packages to customers' doors. Because Amazon ships so many packages though the post office, it pays a lower rate than most customers. Amazon and other bulk shippers negotiate confidential deals, based on the nature of their shipments and the volume. Those deals are required by law to cover the post office's costs, and they need the approval of postal regulators. Amazon also has a special agreement with the Postal Service to deliver packages on Sundays. Neither Amazon nor the post office has disclosed the details of its agreement, but the Postal Service says it's mutually beneficial. Amazon effectively helps the Postal Service spread its costs over a seven-day week. The Postal Service is losing money. But it's not Amazon's fault: Citigroup last year reported that the average parcel rate would need to increase by about 50% for the Postal Service to break even. The Postal Service's biggest money problem is that it has billions in retirement obligations to its workers that it can't afford. Strong currents are pushing traditional stores to the brink. It is clearly true that consumers' shift to e-commerce companies like Amazon has forced many traditional retailers to close stores. But other megastores like Walmart (WMT) share much of the blame for that. Amazon says that it actually helps small companies succeed in the difficult retail climate. For example, it allows small businesses to sell their products to a mass audience when they otherwise wouldn't be able to achieve global scale. — Update: This story has been updated to elaborate on the post office's deals with Amazon and other bulk shippers.